This photo is an unknown source. If it should turn out that Bill cannot get an agreement by the others involed with not giving him one , i say micheal bordin should be his replacement . he’s got the style and all that for it and he did it once before due to bill not being able to play , and he did a fantatsic job ! no disrespect to you bill . just saying if things go to crap and you don’t get a agreement that you want then the others should get mike to fill in . Chad’s thought to have Mike Bordin replace Bill Ward is the dumbest idea I’ve ever heard in my life. Both Bordin and bassist Robert Trujillo ruined “The Bizzard of Ozz” and “Diary of a Madman” when they pathetically re-recorded the classic album’s rhythm section. 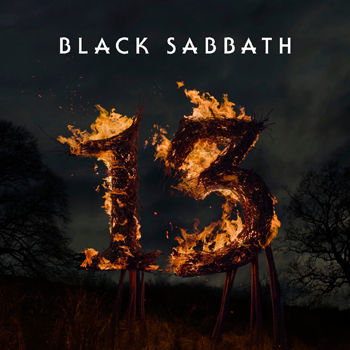 Black Sabbath would be better off using a friggin’ drum machine than having Mike Bordin replace Bill Ward. Shame on you for suggesting such a lousy idea! bill ward said it himself that he would have mike bordin do it again if he couldnt play. and let’s remember that when trujillo and bordin did the re-makes of blizzard and diary, it’s what they had to do , not what they wanted to do. i myself could of possibly did a better mix. but it’s what the powers that be wnated on those 2 discs. nothing beats the original recordings no doubt. i liked the re-done ones but not as much as the originals . bordin’s influences include bill ward and i think he has bill’s style and chops down to the t. i have been playing bass and drums for 31 years and know my drummers and bassists and guitarists and vocalists. and everyone is entitled to their opinion. NO ONE CAN REPLACE BILL WARD !!!!!!! he is by farrrrrrrrrrrrrrrr the most unique drummer i’ve ever heard in my life …GOD BLESS HIM !!!! No question the raw style of Wards drumming and superior recording techniques (I my opinion) at the time hurts any attempt of rerecording in digital. Trujillo has been an interesting choice in joining both Ozzy and Metalica. I would never question his skills and writing ability, but the choice is a hair shy of picking Les Claypool for the job. I think the choice is a good one, but not in the efforts of rerecording “classic” recordings. That was simply a ploy to make money. His bass changes the nature of the band. 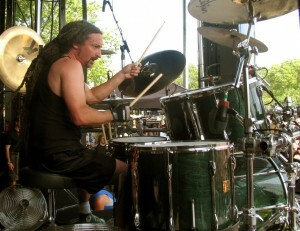 Now, as a drummer whose favorite musician is Mike Patton, I am naturally a HUGE Mike Bordin fan. The choise for him behind the kit with Ozzy has been a similar interesting choice, as picking Trujillo. I have never heard anyone say Bordin “ruined anything.” He always plays his part or inhances every recording. As far as the rerecodring it was the process not the players. 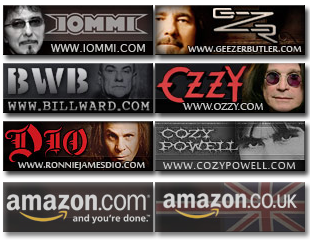 As far as all albums that Bordin has recorded with Ozzy…well it’s Ozzy who ruined them. They are terribly written songs. I agree with Sky Boy. I think it’s best that Mike Bordin and Robert Trujillo are kept as far away as possible from anything Sabbath/Ozzy related due to their apparent belief that disrespecting Bob Daisley and Lee Kerslake in the worst possible way is ok so long as you pick up a pay check.